At King Art Studio, we believe that painting is an expression of the self and artists draw upon their innermost feelings and experiences to create images on canvas. And this belief is why we think that art is possibly the best channel for seniors. They have a lifetime of experiences to share with the younger generation and what can be a better medium as an outlet for that creativity than art. Art brings people together and the relaxed ambience of our art classes helps people open up to each other. That’s why, post retirement, when you have all the time in the world at your disposal, you could join one of our classes to make new friends and companions, and build new enriching bonds with people who think like you. Use this opportunity to socialize and learn a new skill. Isn’t that what retirement is all about? Doing things you always wanted to but never really had the time. Spend a fun afternoon with new friends sharing anecdotes about your kids and grandkids and perhaps, amusing reminiscences from your workplace. 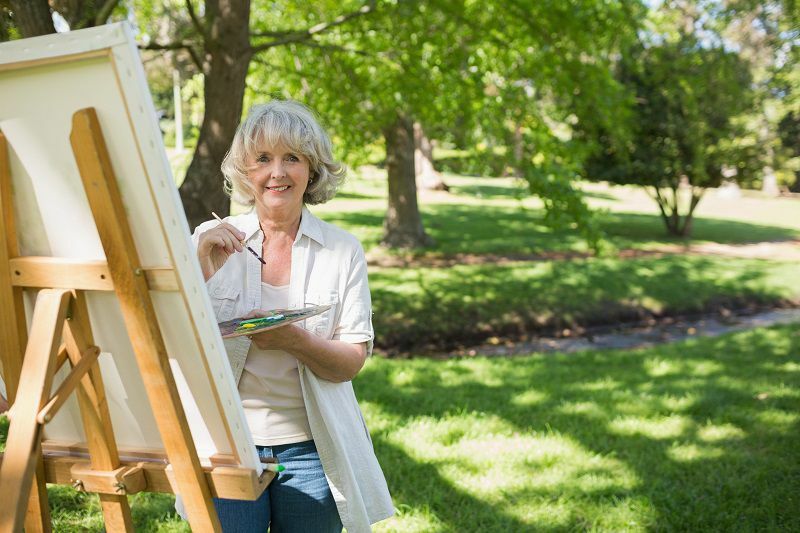 Art has also proven to be therapeutic and for seniors, picking up a paint brush and dabbling in colors can help to keep motor skills sharp. Aside from physical therapy, art and the environment of vibrant colors acts like a mood booster and contributes to one’s self-worth. Art classes also help in rebuilding concentration skills and in improving memory. It also gives a sense of control and confidence and above all, something fun to look forward to. We also like to think that colors seem to have a soothing effect and at the same time infuse life and warmth. Watching colors invigorate the canvas can bring a smile to your face and the best advantage, there is no such thing as errors with art. You can never do a thing wrong. There are many techniques out there and we will be introducing you to the ones that capture your interest. But you can always adapt them to suit your preferences.